A new method for FMEAs in the Automotive Industry. FMEA Harmonization for AIAG and VDA ? The goal is to provide suppliers with a single FMEA business process and associated set of methods and tools to produce robust, accurate and complete FMEA’s that would meet the needs and expectations of any of their customers. FMEA Impact with AIAG VDA Alignment ? 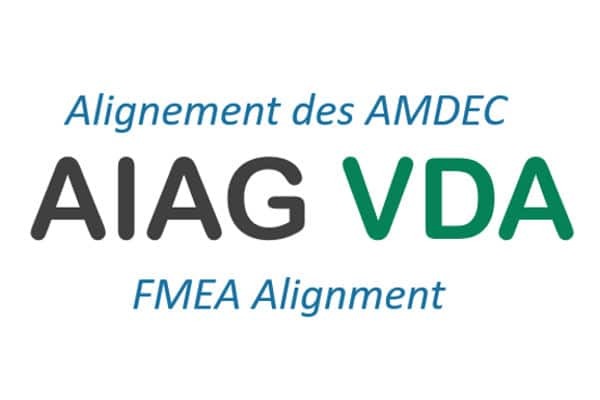 Our FMEA software already enables to drive AIAG or VDA FMEA studies for many years, We will finalize the impact of this AIAG VDA Alignment within our FMEA software as soon as the publication will be official. it will probably follow North American standard SAE J1739. Knowllence team follows with the utmost attention these changes in the automotive fields in order to bring the best service to our Customers and Software users. We will adapt the proposed method integrated in our software – as an option, if needed by our Client. We will also of course adapt our training programmes that are currently distinct either AIAG Method, either VDA method, or both.